We all love to see the full five bars light up when we are on our smart devices. This can be a problem at times. 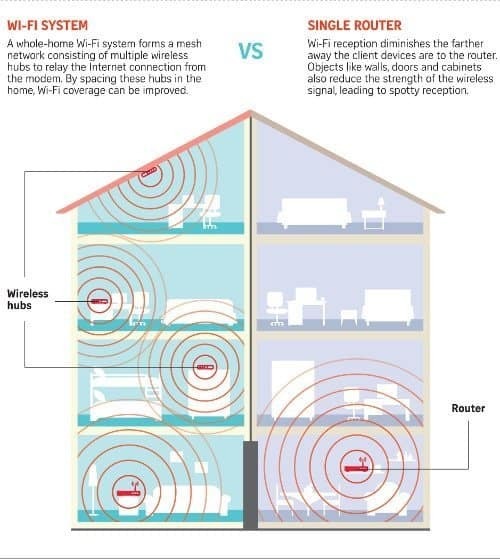 Many building materials and other interferences that surround us in our homes or office can affect Wi-Fi signals. The following guide will help you get the most out of your router and help you solve some of the difficulties of getting a good Wi-Fi signal throughout a multi-story home or large area. Wifi radiates out similar to waves of water after a pebble is dropped in. For best wifi signal an unobstructed signal directly to your device is the best scenario, but we live in homes with walls made from different materials that compromise this. Add to that centrally locating a router in your home may not be that practical, due to wiring requirements, large metal appliance, and simple aesthetics. Often another problem is the cable company installed your main modem in an area of your house that is not very central. Like the garage, separated away from the main house by a wall and located on one side of the home. Not your best case scenario The opposite side of the house will get a very weak Wi-Fi signal. Who wants an ugly router with wires sitting in the middle of your living room or kitchen? Kitchens are often located very centrally in the home but many of the appliances in the kitchen can interfere with the Wi-Fi signal, not to mention large panels of steel and ceramic tile walls all will compromise the signal and make for a weaker signal throughout the house. If you have a large home or office and after you have tried a number of the suggestion from this article and you still have bad signal strength in many areas of your home, then maybe a mesh network might be something to consider. I have tried to make this guide as comprehensive as possible. Some of the information presented in this post you may already be familiar with, other points maybe a refresher. Skim and skip some parts, but if you are having router signal issues I think you will find something here to help you. Many cost nothing and are kind of fun to try. What is a Wi-Fi signal? Wi-Fi signals are like radio signals that operate at a relatively high frequency. Wi-Fi signal travels out and slightly down. 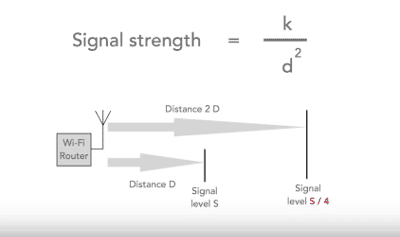 Because of this higher frequency the signal will not travel as far as lower frequencies and also be more affected by obstruction in the signal path. Current Wi-Fi systems operate at 2.4 GHz & 5 GHz. Ghz is how many vibrations per second. Like any other signal, a number of factors can effect the signal. 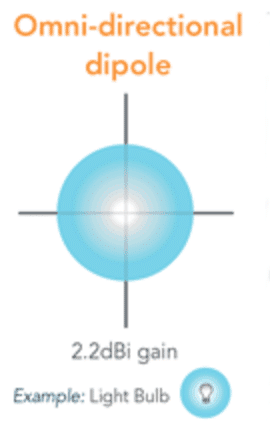 Wi-Fi signals radiates at line of sight and slightly downwards. Here is a refresher on terms from science class that you probably long forgotten. The following definitions are from Wikipedia and Google dictionary. The processor action by which one thing absorbs or is absorbed by another. Absorption: as a result of the signal passing through dense objects. This can be an issue in most homes. Air does not affect Wi-Fi signals but many other materials do. Because wifi signal is transmitted at a relatively high frequency the levels of absorption can be quite high compared to lower frequency signals. It's pretty well the same as with sound. Have you ever had an annoying neighbour that plays their music too loud? All you heard was the rumbling bass and all the high-end sounds were gone. The fact or phenomenon of light, radio waves, etc., being deflected in passing obliquely through the interface between one medium and another or through a medium of varying density. Now that you have had your refresher the two main concerns for your Wi-Fi signal is Path loss, and Absorption. Let's take a closer look at why. Different materials have higher amounts of absorption than others. Wood plastic and glass have relatively low levels of absorption. Plasterboard and water have a bit higher level of absorption. But the worst culprits are things like thick reinforced concrete, brickwork and ceramic tile. Another big absorber is metal appliances, like large refrigerators, hot water tanks or dishwashers all can have very high levels of absorption. See details of the material below. Add to that interference from other devices like other routers, microwave ovens, and many other cordless or wireless gadgets that are in and around a typical home. Where are you going to put your router? Now that you have had your science refresher here are a few more things to think about when you are deciding on the best location for your Wi-Fi router. Probably the single most important thing in getting good Wi-Fi signal coverage is location, location, location just like in retail. Also, the best part in choosing the right router locations is it generally costs very little to nothing. Best location for wireless router upstairs or downstairs? Best place for a router in a multi story house. For safety and EMF protection don’t position router near an infant or baby room. Certain household device operate at the same wireless specter as Wi-Fi, example a router located next to a microwave can cause Wi-Fi signal to drop every time someone in the house uses the microwave, Bluetooth devices, and even baby monitors can also cause interference. Make sure your wireless router is not set to the same channel as your next-door neighbour. 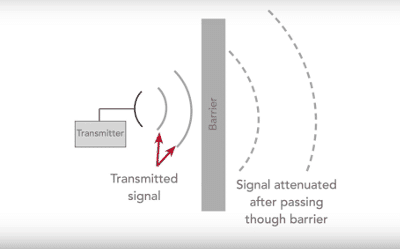 Competing signal can cause interference and slowness with your Wi-Fi signal. Interference put aside there is another challenge in a home, building materials that are not Wi-Fi friendly. Central placement of your router is very important, but also a big consideration for maximum coverage is the materials that your house is built with can block Wi-Fi signals and cause dead spots in certain areas of your home. Wi-Fi does not like concrete or bricks. If you can possibly avoid placing your router near a concrete wall the signal on the other side of the wall will definably have a compromised signal. I know myself I can go a few stories up in my house and get a good Wi-Fi signal but if I go into the laundry room just adjacent to the router separated by a poured concrete wall the signal drops out and is very slow. Bricks are very similar they are not as dense as a poured concrete wall and will allow some signal through but the signal will be greatly compromised. Metal and Wi-Fi also are not friends. Refrigerators, stoves and file cabinets. In fact, some metals used correctly can deflect the wifi signal in another direction. Avoid metal walls if you can. Wifi signal can be greatly reduced or blocked by marble and glass. Darn! Now the island in the middle of your kitchen with the marble countertop as a place to put your router is a bad idea. Locating a router in a office with a bathroom between the signal path and where you want a Wi-Fi signal may cause problems. Especially if there is a lot of ceramic tile and glass in the bathroom as is the norm in most modern homes. Wood is not as bad as metal and cement but it does absorb some signal. This is why it is a bad idea to keep your router in a lower cabinet in your kitchen. First, there is immediately a reduction of the output signal from the wood surrounding the router. Second the lower location is also not great for a router and should always be placed up higher for better signal transmission through out your house. Some plaster walls can be quite bad especially if they are older with the metal mesh embedded in the plaster. Wifi does not travel through water very well the signal gets dramatically reduces. Consider placement if you have a large fish tank. People? Humans are made up mostly of water, so a crowded room full of people will slow down the Wifi signal. Avoid putting a router somewhere with a lot of people. How old Is Your Router? Let's take a look at your router. How old is your router and is it time to upgrade? Often an older router itself can be the weakest link. Newer routers are much better than just a few years ago with 2.4Ghz and 5Ghz bandwidth, multi-channel options, faster speeds, stronger signal transmitters and overall better performance. Signs you need a new router. Are you experiencing Wi-Fi issues? 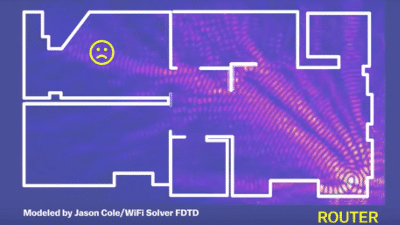 Is your Wi-Fi signal everywhere in your home or are there a number of dead zones? Does your router frequently have symptoms of being overwhelmed and underpowered? Do you frequently have network issues when a number of people are using it at the same time? Like slow page loading or stuttering video playback. If your router is relatively new something as simple as updating your firmware can make a world of difference. Router manufacturers are always improving and updating their software to continue to get better performance and speed. Updating your router could be quite simple but some companies make it more difficult. Here is a guide from PCMag.com that tells you “How To Access Your Wi-Fi Router’s Settings” Many new routers update automatically so you can set it and forget it. 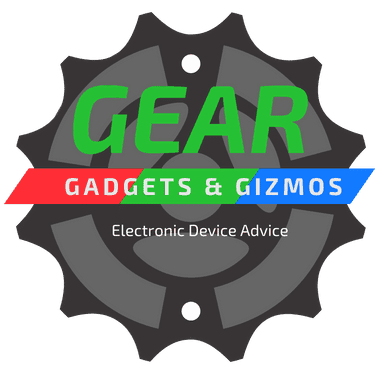 Older routers require that you go to the manufactures website and download the latest firmware. For some, this may be a job for an IT guy. There are a few steps but it's not that difficult. Seek out a YouTube video of your particular manufacturer of router and there may be a demo video with step by step instruction. If you don't find your particular model, just find one with the same manufacturer and generally the instructions are the same. Have a little patience and you can easily do it yourself. Example How To Update your Netgear Firmware. Changing the channel that your router operates on can make a difference. Router speed performance can be affected by interference for other nearby routers. Choose a channel that has the least amount of users. 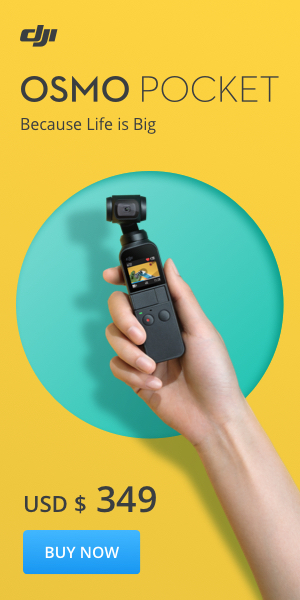 Here is an instructional video on how to do this. If this is not your router the basic concept is the same with most routers. Another important link in the chain to a good Wifi signal strength is the antenna. The antenna broadcasts and receives your Wi-Fi connection. Many antennas can be moved from side-to-side or pivoted in a circle. Adjusting the antenna in different situations can increase the signal strength in particular areas. Seeing what your signal strength is now by downloading a free Wi-Fi Signal Strength App. Then go around your home and take readings in various areas. This will give you a good idea of where you have weak signal areas in your home or office. Then try some antenna adjustments to see if there is any improvement. 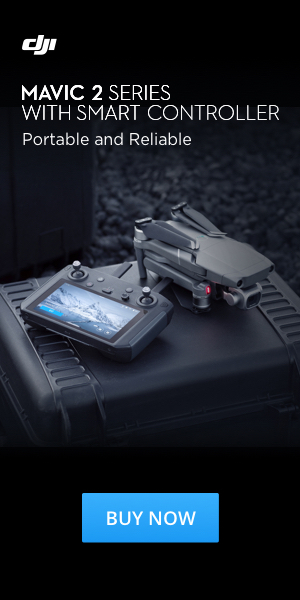 Example positioning the antenna vertically will give you the best spread horizontally. If you’re like me and have a few floors in your home or office the best antenna placement would be to position the antennas horizontally. Here is a video of a guy that tested pointing his router antennas in different directions to see what kind of results he would get. Although he seemed to conclude that it did not make any difference. The way he did the testing is a great way for you to test your own Wi-Fi system. Wifi Antenna Positioning, Does it Make a difference? If you have tried some of the above pointers and still have a crappy signal. Lets further look at what other options could improve your Wi-Fi signal and coverage. Another option before you go out and buy a new router is to simply upgrade the antennas. Many routers have removable antennas and can easily be replaced with higher gain antennas for better reception. You can get a new set of set of 2 Omni-Directional Wi-Fi Long Range Antenna for around $20 from Amazon that could really make a difference. Upgrading your present router antennas could give you that extra boost you need. Be realistic if you have a really old router I would save my money and put it towards a new router. So check out your old router you may be flogging a dead horse. There are a couple types of antennas to choose from. Omnidirectional and directional. If you have a house where you have your main router on one side of the house, a directional router pointing toward where you want to use your wifi could make a big difference. 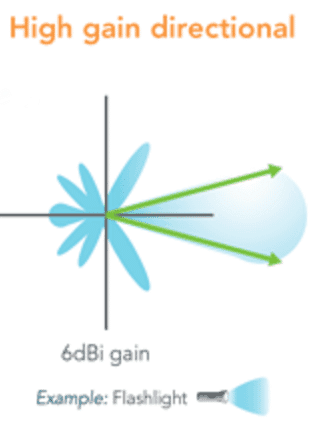 With directional antennas, a stronger signal is directed to a smaller area but in a particular direction. As you can see below. Unlike with omnidirectional antennas, the problem is if you are unable to place your router in a central location in your home and have to locate your router on one side of your house, much of the signal will go outside. Your Wi-Fi signal will probably be great at your neighbour's house and you will have a lot of weak spots on the far side of your house. So you have tried a number of things but your home Wi-Fi is still a dog in some areas. You have a number of dead spots and a number of unfriendly walls between where you would like to have a good Wi-Fi signal. All the suggestions are not working for you. A Extender or Powerline would help you get a better signal in these areas. First, lets look at the Extender. An extender is a wireless device that you plug in your home in and around problem dead zone areas. What an extender does is it take the weak wifi signal that it receives and boosts the signal in that area. The extender signal will be slightly slower but with a more stable signal throughout your entire house. Wi-Fi speed will not be as fast as from the source Wi-Fi Router. But it is better then having no wifi coverage. 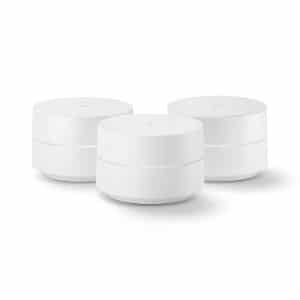 These units vary in price from around $30 to $90 dollars and a number of extenders can be placed in your home for a more consistent wifi signal in your home. The NETGEAR N300 WiFi Range Extender on available at Amazon is a very popular extender and I found in my home it made a difference in an area that had previously a weak signal. Another option is a Powerline adapter. How a power line adapter works is it uses the existing wires in your home to transfer your internet signal to another location. Example: your main internet modem is downstairs and you would like a better Wi-Fi signal on the top floor where you spend a lot of time. First, plug one Powerline adapter into an electric outlet and plug in your ethernet connection from your main modem into the Powerline Adapter. Now you would go to the problem area of your home and plug in a second Powerline Adapter into a different electric socket. You now have a direct ethernet connection to your modem. You can now plug your computer in directly into the adapter for a secure line or plug in a router into the Powerline Adapter and have a second router transmitting in your problem area. Great way to use an old router. You will now have two hot spots. But the second router will be a little bit slower than the main router. Using a Powerline Adapter can be a great option if you work from home and are required for security reasons to use a secure direct line to plug your computer directly in. No funny Wi-Fi business allowed. If your office is not where you main modem is you will not have to run new cable. This method will allow you to use your existing electric wiring and plug directly into the adapter. Prices range from around $30 to $100 for a set of two adapters. A very good rated Powerline adapter is the NETGEAR Powerline 1000 Mbps WiFi Adapter available at Amazon. One issue when having more than one hotspot is that many smart devices automatically pick the strongest Wi-Fi signal and use that. But often when moving around a house switching routers does not happen automatically. So you will have to do this manually. No big deal, If you notice the internet is slow, check in your settings under Wi-Fi which router your device is using and choose the router that is closest to you. 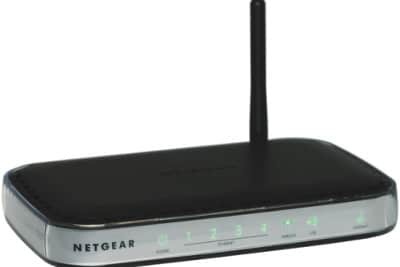 If you have a large home with Wi-Fi issues and are set to go out and buy an extender or power adapter to improve your Wi-Fi coverage and if your old router is not great the whole system will be weak at best. A mesh system can provide a number of Wi-Fi hotspots around your home or office and is the best wireless router for multiple floors. Maybe something to consider before buying anything is a Mesh Network Wi-Fi System. A new good quality router and extender could cost as much as a mesh system. Formerly used in convention centers and malls these systems were expensive and mostly used for very large applications. Recently manufactures have come out with systems in a more reasonable price range for consumers. The big advantage of a Mesh Network system is it provides a consistent Wi-Fi signal throughout your home. Unlike an Extender of Powerline adapter. The Wi-Fi signal is not reduced with each extender. However overall speeds are less than some faster routers on the market. The cost is about the same as a high-end router but a Mesh Network system comes with 2 or three units and more can easily be added. Easy setup! This is another good reason to get a Mesh Systems Wi-Fi System. Simply plug in the mother unit into your main modem, turn it on and place the other units in strategic spots around the house. Plug them into a power outlet, powering them up and press a pairing button will sync the system together. Keeping in mind some of the path interference problems we have discussed in this article and place routers accordingly. Locate the router as central as possible with as much line of sight to wherever you sit or use the internet the most. This is the ideal situation but often not possible in many homes. Avoid putting it in a closet as you are now surrounding the router with absorbent materials that will compromise the Wi-Fi signal right from the main source. Be sure the router signal is not blocked by any major obstructions like concrete walls, ceramic tile or other major absorbers to any areas you plan to use a lot. Avoid surrounding it with metal objects. Metal dissipates electromagnetic energy quite effectively. Although kitchens are often central to the home. The kitchen is not the best place for your router due to the many absorbent materials and electrical interference from many of the appliances. Keep your router off the floor as wifi signal travel at a line of sight. This means if it is on the floor it has to travel through many more obstructions. 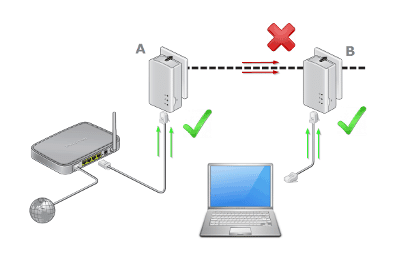 Placing the router higher up reduces the number obstacle interfering with the signal and gives the router a better line of site. Remember wifi signals radiates out and slightly down. Interference can be an issue. Keep your router away from sources of interference. Microwaves are a really bad source of interference as well as other routers in the area. Be sure to have a dual-band router 2.4Ghz and 5Ghz because most phones and laptops have dual-band capabilities. The most popular band is 2.5 GHz with a choice of only 3 channels. The advantage of 5 GHz is they have many more channels. If all the above steps still leave you with a dead zone then an extender may be the best option. This will pick up the Wi-Fi signal and rebroadcast it in another area. Or another good method is to add a power line link to a new access point. 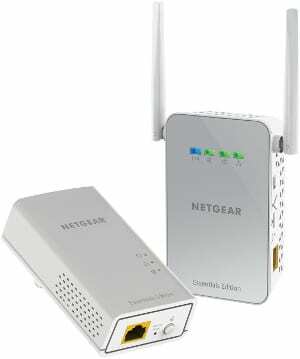 If you have a very large area a Mesh Network router system may be the answer for you. 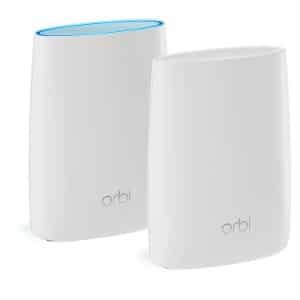 A few examples are the Netgear Orbi. This unit comes with two routers to provide two hot spots in your home. Also recently introduced the Google Wi-Fi router system comes with three units and you can easily add up to eight additional units. Each additional unit gives about 1500 square feet of coverage. A mesh network can be best wifi router for long range application. I hope this guide has given you a few ideas to try yourself. As you can see there are a few things you can do before spending money. Often times a little playing around and trying a few no money options can improve your wifi signal in certain areas of your home. I found many DIY suggestions actually make an improvement. Normally not quite what they claim but an improvement none the less. Can be a little fun to try if you're a geek at heart. See my post Wireless router improved performance hack zone to try a few. You also need to be realistic and evaluate if its time to upgrade your router and consider what building materials and distance the Wi-Fi signal path has to transmit through to reach the desired area. Many larger homes today with smart appliances and building materials that are not Wi-Fi friendly all add to a diminished Wi-Fi signal strength. This leaves no option but to use an extender or Mesh Network System for ideal Wi-Fi coverage. Finally, what do you really need? Are you a gamer or do a lot of 4k Streaming? How many people are using your Wi-Fi? The fact of the matter is young or old the demand for a good Wi-Fi signal is not going away. So setting yourself up with the best quality router system you can afford will not be a mistake.